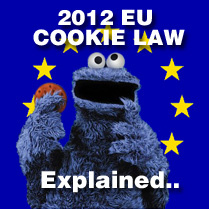 New website law from 26th May – Is your website cookies compliant ready? You can view the BBC’s full official report on it here however we have summarised what you need to know below. From the 26th of May the EU has enforced an annoying little law that specifies sites must obtain “informed consent” from visitors before saving cookies on a machine. If your website has a login area or analytic’s tracking there is a good chance you will need an update to become compliant with the new law. However even the most simple of websites should now include a mention of cookies within a visible policy. It is widely expected that the majority of websites will not be ready in time, so you’re not alone. For this reason the ICO (Information Commissioners Office) have said they will not take immediate action over non-compliant sites, and would instead offer guidance. Breaking the law with a non-compliant website could eventually result in fines of up to £500,000 however the ICO has played down the threat by saying it will take a soft approach to enforcement. How do you get compliant? 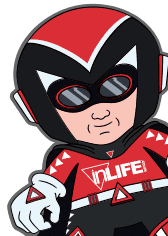 inLIFE have developed a little tool to perform a cookie audit on your website – we provide this service for FREE!